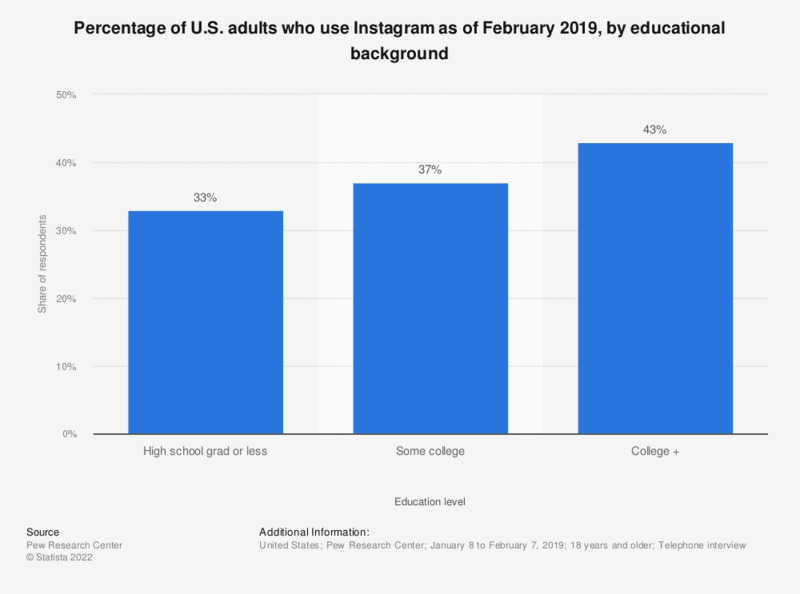 This statistic shows the share of adults users in the United States who were using Instagram as of January 2018, sorted by education level. During that period of time, 42 percent of respondents who had attained a college degree used the photo sharing app. Everything On "Mobile social media usage in the United States" in One Document: Edited and Divided into Handy Chapters. Including Detailed References.